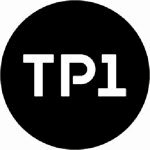 TP1 Leverages Drupal Technology for "Study in Montreal: a portal for international students"
efficiently," declared Joseph Blauer, Vice-President of Technology at TP1. Montreal in 2007, notably to optimize external referencing. Ministere des Affaires municipales et des Regions as a financial partner.